The Case Management Program for the Frail Elderly (CMPFE) coordinates community services to help seniors remain in their own homes. The program is designed to prevent premature institutionalization of the elderly by arranging for appropriate services. Eligible seniors must be 60 years of age or older and need assistance with at least two activities of daily living. Activities of daily living include dressing, grooming, bathing, toileting, transferring, and ambulation. Case Management is the coordination of in-home services by a caring professional. The Case Manager assesses the senior's abilities and needs, then with the help of the interdisciplinary team recommends services to the senior and their family. This is a client-driven service. Clients determine which services they do or do not want to receive. You and the case management team will identify the services, which can assist you in remaining in your home. You and your family decide which services you will accept. Your Case Manager will be your one contact person. All information remains confidential. WHAT are the advantages for you and your family? - Informed choices about services in the community. - Assistance in remaining independent for as long as possible. - One contact person for all your concerns and questions. - Coordination of available help without duplication or gaps. - Family and in-home services will be encouraged. Referral agencies or organizations will charge for their services. Eligible clients could receive services paid for by the Elderly Waiver, Senior Living Program or Family Caregiver Support Program. - Private pay: by client and/or family. 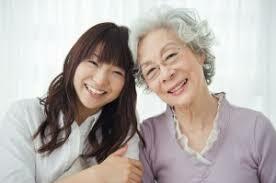 - Long Term Care Insurance: may be an option for those with this type of insurance. - Family Caregiver Support (Older Americans Act): Client must be 60 or older, have a primary caregiver and need assistance with two Activities of Daily Living. There are no income guidelines for this program. - Purchase of Service: Client must be 60 or older, need help with at least 2 Activities of Daily Living and meet income guidelines. The Purchase of Service program is designed to assist seniors in maintaining their independence and quality of life in their own homes. 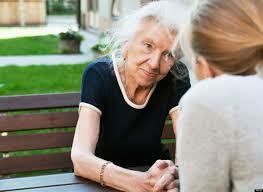 - Home and Community Based Medicaid Elderly Waiver (Iowa Dept. of Human Services): Clients must be 65 years of age, meet nursing facility level of care, and meet income and resources guidelines. For couples, the spousal impoverishment provisions apply. Potential clients must complete a Medicaid application. If you are interested in more information, call (800) 432-9209. Our Case Management Program is all about choices. Your choices. Which services you need and want, and choices of who provides those services. Your Case Manager listens to you and customizes your service plan...and serves as your single point of contact to make adjustments and changes.